A rich, glossy treatment that helps to moisturise and protect tender lips. First aid for sore, chapped lips, or as a regular hydration fix, Kiss Mix contains Zinc oxide which comforts dry lips and acts as a natural sunscreen, while menthol cools and freshens. It is a year-round product as it keeps lips moisturised and protected from UV rays in summer and biting winds in winter. 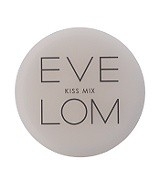 Kiss Mix is great to use with lipstick to add shine to your lips or on its own as a moisturising base.